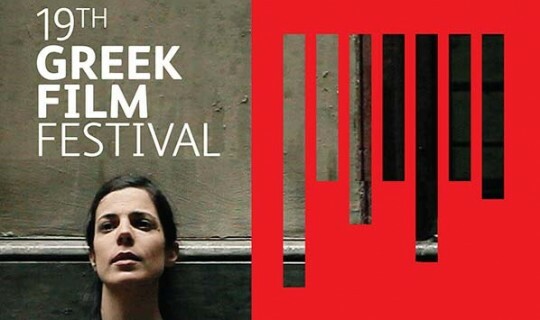 The 19th annual Greek Film Festival (GFF) opens in Melbourne on Wednesday 17th October with a program that will see more than 30 films screen at Palace Cinema Como over two weeks. The Festival opens with the larger-than-life comedy Nisos 2 (The Island 2: The Hunt for the Lost Treasure), the sequel to the 2010 Greek Film Festival's Opening Night film. With the picture-perfect Greek island as its backdrop, Nisos 2 offers plenty of its own laughs as it follows the island's loveable crims out of jail and on an epic and speculative treasure hunt. The 2012 program presents one of the strongest selections of contemporary Greek cinema the Festival has seen in recent years. Along with films from the establishing Greek Weird Wave are striking features direct from other international film festivals, a tribute to the late Theo Angelopoulos with a screening of Landscape in the Mist, and Tony Krawitz' exacting and highly accomplished adaptation of Christos Tsiolkas' novel Dead Europe (pictured), which will close the Festival on Sunday 4th November after screenings at the Sydney, Melbourne and Toronto International Film Festivals. 'We are incredibly proud to be presenting this year's program; a collection of some of the most honest films to be seen from Greece in recent years. Our gratitude however lies with the filmmakers themselves, who are enduring the financial turmoil of their country but are refusing to bury their ideas,' says Festival Director Penny Kyprianou. The full program is now available online at www.greekfilmfestival.com.au. Tickets can be purchased direct from the Festival's website or from the Palace Cinema Como Box Office (cnr Toorak & Chapel Streets, South Yarra. T: 03 9827 7533). The Greek Film Festival is an event of the Antipodes Festival, the cultural arm of the Greek Community of Melbourne & Victoria.